... to drink and share... Calgary ready content. The Langhe DOC is a more generalized designation for wines in south Piedmont. Logistically, it encompasses the Barolo, Barbaresco, and Roero DOCG growing zones, and much more. Outside of six named grapes (including Nebbiolo), foreign or blended grapes fall under the labeling "Langhe Rosso" or "Langhe Bianco". 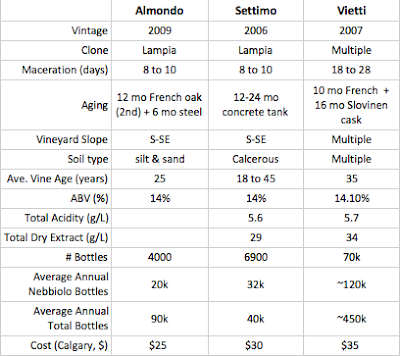 The rules in this designation are much more lax in terms of yields, varietals, aging, and blending. Thus, for greater freedom of style and cost, producers may select grapes that otherwise qualify for DOCG status and release them under the Langhe designation. Not to be brushed off as entry-level, these quality Nebb's offer accessibility and drinkability with more affordable price tags than their notorious brothers. Typically, they are lighter with less oak experience. They may also demonstrate great price-quality relationship. 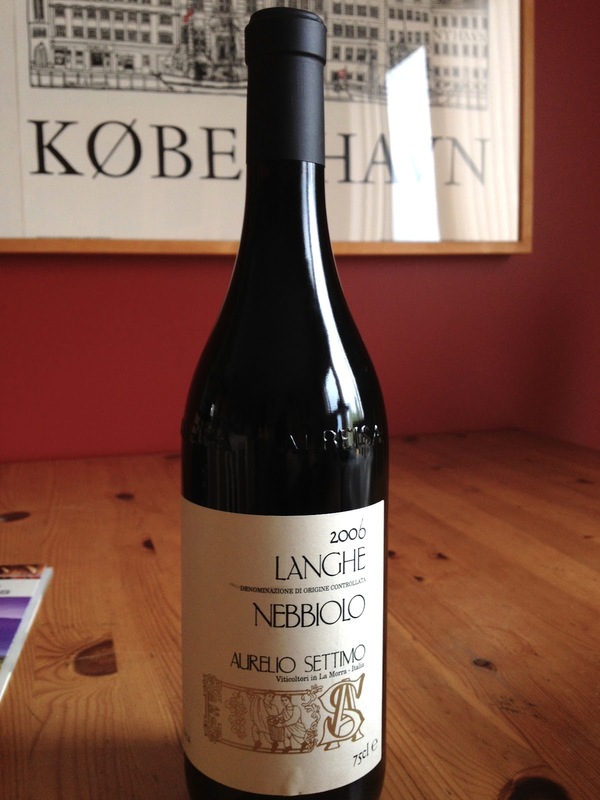 Hailing from Barolo and Roero areas, the following exemplary producers release Nebb with Langhe labeling, superb in quality and value. 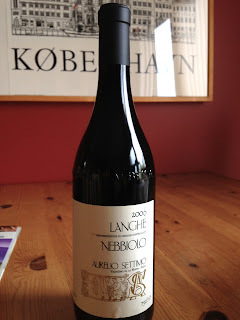 For the unfamiliar, Nebbiolo provides distinct, earthy wines of light colouring, immense dryness, and somewhat aggressive structure high in acid and tannin. As can be expected for even their 'lighter' renditions. Tiziana Settimo (daughter to Aurelia) runs a modest and dedicated winery here, entirely within the Rocche Dell'Annunziata designation in the Barolo zone. She grows mostly Nebb with ~15% Dolcetto plantings. The clay soils rich with lime and chalk support vines diversely aged 18-45 years. This Langhe Nebb comes from the same vines as her standard Barolo, the difference being shorter maceration (half) and zero oak aging. 6'900 bottles produced. Her website is rich with technical info on the wines, vineyards, and vinification. Brick red with a burnt orange rim, light and translucent. This 06 is ripe for the drinking. With a bit of sloshing about, the aroma is open and extroverted; rich with arid countryside, a reminiscence of dried red berries. The acidity, tannin, and alcohol are reasonably high, masterfully integrated. The profile is all secondary; tan and light brown with a classy touch of black. 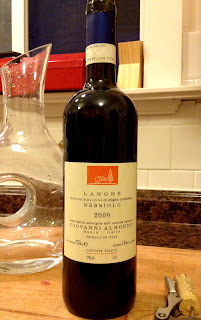 Not as big as its Barolo counterpart, but stylistically in that very direction. This uniquely non-oaked version gives an honest insight into Nebb and the Rocche. Its a serious wine without breaking the bank or the gums. Did I mention delicious? Available at WineInk for $30. On a different note, this fellow sees a full maceration period, 10 months in French barriques, and 16 months in Slovenian oak. Vietti is a large winery with holdings primarily around Barolo, but also by Barbareso and further east. The Perbacco is a blend of multiple sites, with vines averaging 35 years. 70'000 bottles are produced annually, of the winery's net half million. Well rounded; great fruit, secondaries, lots of varietal typicality. Dark and slightly opulent to look at. The nose spans shades of red and brown. Think fallen leaves of a humid autumn, game roasting with mushroom and berry over wood fire. The powerhouse posture means business; girthy tannin sits wide in the mouth, while appropriate acidity and aging comprise a balanced full body. Available at WineInk for $35. Revisiting a subject of this editorials first post, in its new vintage. Primarily an Arneis producer in the Roero region, a damn good one, Domenico and his family have a keen touch for sensible Nebbiolo as well. Website. With a similar maceration to the Settimo, this one ages 12 months in second use French oak. The terroir is flimsy and granular, mostly silt and sand hold the 25 year old vines. 4000 bottles annually. The grapes are of the same vineyard as their DOCG destined brothers, picked a little lower on the hill. Choice of aging is a primary factor for the difference in designation. The style here is more approachable and fruit focused. Fragrant florals with wild red and blue fruit. The feel and balance are elegant, with grip and roundness playing nice. A diverse food partner. Available at WineInk for $25. A wild pair of Austrian reds related by brand, style, and genetics. Dating back to 1750, Rabl's 75ha of vineyards surround the town of Langenlois, in Austria's Kamp Valley. Some Grüner Veltliner sites from the 1940's still produce flagship single-vineyard bottles here. In total, Rabl bottles about 30 unique wines annually, of which 9 are Gruner Veltliner. "The Earth creates the wine and dictates its quality and character" - a governing philosophy around these parts. The wines are principally allowed full expression of their heritage and environment. Soils vary dramatically by site; from thick limestone with rocky surface to a predominance of loose, mineral rich, loess coverage; yellow and dusty. A fantastically quaint, welterweight wine with intrigue and delectability. Its qualities feel wild and racy, yet smooth and tamely packaged. Matured mostly in oversize casks with 15% in new wood. Reflective and high-character; dark berry and savoury brown secondaries wrapped neatly in a somehow easygoing attitude. It imparts a particular impression of european countryside and humid climate. The finish is smooth and herbaceous, balanced with food friendly acidity that draws a double sip from every visit. Wild hibiscus flower, fresh thyme, autumn leaf, coniferous forest, black cherry, and cassis. In terms of pairing, the wild feel will play nice with blue cheese and light game meats. Naming arose from the grapes period of typical ripening in France, around August 10th - Saint Lawrence's day (Roman Catholic). The grape originated there, making way through Alsace, Germany, and further east in the 1860's. Today it grows fondly in Austria, with specialty plantings in New Zealand, and is the most widely planted red throughout the Czech Republic. Although the issue is not entirely clear, most sources agree on its genetic relation to Pinot Noir. The grapes have thin, black skins with plentiful extraction of colour and tannin. They ripen early and with good acid. The juicy result is often regarded for "pinot'esqe" character riding wild and savoury tones. Drinking more like an older brother to the above; a mid-full weight and profile that picks up where the St. Laurent leaves off. Wether a result of genetics, producer, or region, it's a good thing. Again with racy qualities to the nose, red berries and violets. The palate is seamless with acids attacking tight concentration. Flavours span from vibrant red and black berry to brown secondaries arriving with the oh-so-smooth tannin. Fresh drip-coffee, hazelnut cream, and lightly toasted oak chips. Zweigelt came forth in 1922, by the crossing of St. Laurent with Blaufränkisch (aka Lemberger). It finds home across eastern Europe, particularly, holding title of most widely plated red grape in Austria, and the third most in Czech Republic. WineInk on 17th has the full Rabl selection available in our market, including two amazing Gruner Veltliner's and a Riesling in the family. See the September 2011 piece on the Rabl Gruner. $32.50 for the Zweigelt Titan. A first hand account of two new-world renditions of a French classic - the Marsanne grape. 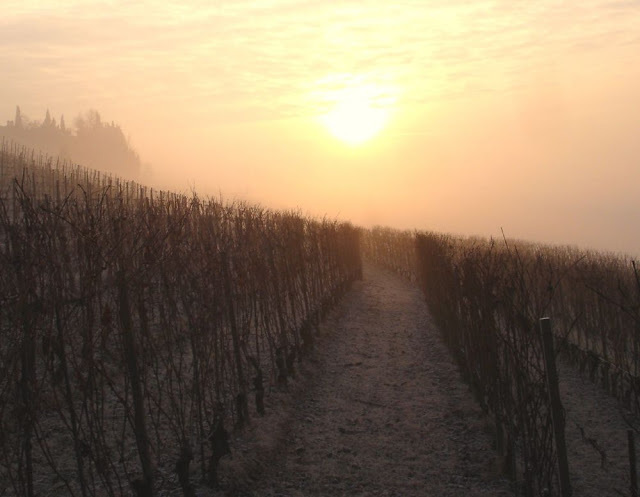 Although relatively out-of-light to many drinkers, Marsanne has a long and important history in France. It is the principle white varietal of the famed (Crozes-)Hermitage AOC in northern Rhône, where it is dominant in the white wines (often with Roussanne) as well as finding way into many reds (max 15%, the rest Syrah). It is also the focus of many (not all) Côtes du Rhône blancs, where it is most often blended with Roussanne and/or Viognier. Interestingly, Marsanne is not one of the 18 permitted grapes in the Châteauneuf-du-Pape AOC, however Roussanne is. Outside of France, it is grown in Valais of Switzerland, and increasingly in Australia and America. In less-than-ideal growing sites, Marsanne tends to underwhelm in quality and balance. It is reputed for difficulty in growing and critical ripening. Nevertheless, when produced with expertise, Marsanne can produce unique and magnificent results, including the two below, and the enormously expensive Hermitage labels. Typical notes include florals, honey, citrus and stone fruits, nutty and earthy minerals. The Stagecoach Vineyards of Napa Valley grows a variety of grapes, mostly Bordeaux reds, on 600 acres of heavily and dramatically excavated (over one billion pounds) land, levelled into platforms atop the high elevation topography of Soda Canyon. It's a fairly sizeable operation that produces no wine internally, but grows and sells the ripe grapes to exclusive buyers for premium wines. The sourcing vines for this bottle dwell in highly drained, rocky and volcanic terroir of reddish brown colour. See heading photo. 100% Marsanne born and raised in the Stagecoach. This bold wine sees 7 months in French oak (40% new) and wields a healthy 14.4 %ABV. Co-produced by renowned Rhône winemaker Francois Villard, only 330 cases where made this vintage. It smells big and sweet; with wild florals on the fore, followed by a barrage of sweet stone fruits and stoney mineral. White peach, smashed apricots, baby tangerine, and candied pineapple, by imagination. In the mouth it takes a slightly soft stance, with acids seemingly reserved. There's concentrated fruit to the taste, but it's the big earthy character that predominates. The rocky, mountainous terroir really shines through here. Coming on smooth, it expands and fills. The finish is litered with ultra dry secondaries. Personally I adore it, but it is palate pending i'll admit. I recommend drinking straight out of the fridge, letting it warm as you drink, and just you watch it change tone; from a fresh, candy fruit sweetheart to a mature and coarsely-spoken uncle. Available at Bin905 on 4th St for the worth-the-splurge of $49. When talking about Marsanne, as I've leant, it's hard not to mention the Tahbilk winery. Hailing from Victoria, the southern tip of Australia, Tahbilk setup Marsanne vines in 1860, a regional first, and to this day produce award winning juice from 1927 vines, claiming the oldest and largest single holding in the world. It's also a sizeable operation producing in total over 100'000 cases annually from 300 hectares (740 acres) with 10% exported. They produce a variety of French grapes including the major players from Rhône and Bordeaux, Chardonay, Riesling, and Tempranillo. This bottle earns charisma for balance, full body, and complex fruit with a well integrated mineral back. It's produced without oak and designed to peak as a two or three year old. Flavours span and progress nicely from citrus to almost exotic to mineral. Fresh lemon, squeezed tangerine, yellow pear, and ripe mango. The mineral aspect is really smooth, mostly clean with a hint of petroleum maturity. It finishes both fresh and full, continuously inviting. Contrary to the Miner La Diligence, which could be found bash, the Tahbilk is tremendously easy to like. It is this quaffability combined with depth that makes it a sure-fire winner. Available at WineInk on 17th for the oh-so-reasonable $19.95. A modern operation outside Carcassonne in the Languedoc region. They speak humbly of themselves, promoting organic, responsible farming, with simple ideas of quality and environmental winemaking. Their 40 hectare vineyard grows grapes from Burgundy, Bordeaux, Rhone, and a couple native's, totalling around 20 unique bottles per vintage. Their climate is largely Mediterranean, with warm, dry summers days and cooled evenings. The soils are loose, chalky, and loamy with sandstone beneath. It starts with a beautiful brick red colour, a prelude to its light body. Highly aromatic, the nose speaks dramatically of floral perfume and a dry, herbaceous earthiness. Lean acids open to a smooth feel with a kiss a rhubarb tartness. The fruit is kind, but not generous, reminiscent of under-ripe black cherry. The label writes "Floral, smooth & complex", and I couldn't disagree. Apt for light fare, soft cheese, or by its lonesome. Finding quality, lightweight wines of balance and interest can be tricky in the fruit & body driven market of Calgary, so this Fer really stands out to me as noteworthy... and mouth watering. Hailing from the southwestern wine regions of France, most notably the AOC's Gaillac, Marcillac, and Béarn, it is almost always blended. Also known as Fer, Pinenc, Mansois, and Brocol. From French, "fer" translates to "iron". The grape is so named for its unusually hard, "iron like" vine stock that becomes particularly difficult to prune and trellis as it ages. Interestingly, in contrast to this example, I read that Fer is most often noted for a full, fruit-rich body, as well as the perfumed quality. Completely disregarding the French trend for pinot. It shows plush, jammy qualities, red and black, from cherry to berry to cassis, balanced every step of the way. Big but not flabby… just dedicated, and 100% delicious. Easily comparable to Californian renditions of twice the price, this is a BIG crowd pleaser. The wines of Domaine de Brau each go for $22.90 off the shelves of WineInk on 17th ave.
Also available is a straight Egiodola (translated "true blood"), another southwest-France oddity, fathered by Fer in fact. In tasting, I noted deep colour, a strangely mentholated scent, and a wine showing density, plumy fruit, and plentiful tannin. Negroamaro is a black grape grown exclusively and extensively through the heel of the Italian boot --> Pulgia [Apulgia], particularly around Salento. It is indigenous here, one of the regions important grapes, and the focus of several local DOC's. From my experiences, the grape consistently shows distinctive earthy qualities, with funky black fruits, wild and gamey. It tends toward a fleshy, chewy feel. Not disimilar to Mouvedre in some examples. Pulgia seems to be garnering a newfound attention as it follows in the move to produce higher quality wines over cheap market fillers. Four wines; between $15 and $22, all from Pulgia, all available at WineInk on 17th. From simple and fruity to floral and elegant, they each offer a delicious view into the Negroamaro grape. The most straight-forward of the bunch, and utterly delicious. Deep purple in colour, the Matané has a satisfying jammy feel, loaded with wild berry and black current. A little on the soft side, mid-full bodied with a smooth, velvety feel. The Salice Salentino DOC requires minimum 85% Negroamaro with the rest Malvasia Nero. The colour is maroon with a brown rim. The nose is very aromatic, elegant and rustic; telling of florals, cherry, sweet rosemary, and toasted oak. The palate is sharp with crisp black cherry and berry. The body is medium with reserved tannin. The finish is poised, dry, with an aged, earthy tone. Amazing value for a wine with such well developed character. An ideal example of balance, the high toned opening is balanced with structure, and its earthy nature with hearty fruit. There are musty notes of fresh torn bark and wild dark berries. The most masculine rendition of the group. Full bodied with an intensely dry, rough texture. It shows old purple, pruney fruits with an aged, woody, earthiness. These wines are drinking fantastic at tremendous value, too bad they're so under-known. Most certainly a grape worth keeping an eye out for. WineInk stocks the Matané for $15.65, the Salentino Riserva for $19.95, the Cappello for $15.95, and the Elo Veni for $21.35. Niko Pirosman - "A Large Wine Jug In The Forest"
Georgia has a claim on the worlds oldest winemaking techniques and history, dating back over 8000 years. They maintain the production of dozens of unique, indigenous grape varietals, most often blended, and made by a very traditional method called qvevri. Wine appears to hold a major role in Georgian culture. Qvevri Is the specific process of macerating, fermenting, and storing wine in giant clay vessels, buried in the earth, and lined with beeswax. See the above painting, center object. As I describe below, this ancient winemaking technique has a profound effect on the end result. There is a plethora of info on the subject available online, starting with Wiki - Georgian Wine. It really isn't white wine, and cant be treated as such. Have it once and remember it forever, for these amber wines are up there with the most unique and different wines in the world, and the Kisi is amongst the most powerful renditions. Beware not to over chill, as it quickly seems bitter. On the same note, slightly tamed, and a price point down. Pale scotch in colour, the nose is sweetly fortified with rich secondaries. The taste turns a different direction with crisp fruits and lively spices. It offers much of the same experience as the Kisi, in lesser proportions with more fruit and drinkability. Notes of peach, golden apple, nutmeg, nuts, cider, cedar. This lives for high drama. The colour is almost black. The nose is reminiscent of tawny port with warm honey, fresh cedar bark and brandied cherries. The palate opens with cutting acid, sour black cherries and rhubarb pie. Mid-light body. Its left, then right, up and around. This varietal is recognized as one of the best and most important in the Georgian arsenal of red grapes. Capable of high extraction and long aging. This bottle shows more harmony between the nose and palate compared to the Tavkveri, as well as a more full body. More berry fruits to accompany the brandied aroma. Sound good? Maybe not? These wines aren't for the unadventurous. There are few situations where they substitute a regular wine, but they absolutely have a place. All oddities aside, once your head is in it, these wines can be really enjoyable. Hosting a few people? Crack one of these after dinner and let the convocation roar. For fun, serve in snifter glasses. Available at WineInk on 17th amongst other speciality wine shops in Calgary. Content by Steffen LT, 2010-2012,. Awesome Inc. theme. Powered by Blogger.